Welcome to Mystic and my newsletter! My newletter features ongoing seafaring and adventure news and gives tips on how to share yours! Are you visiting Mystic, Connecticut, or did you just move here? 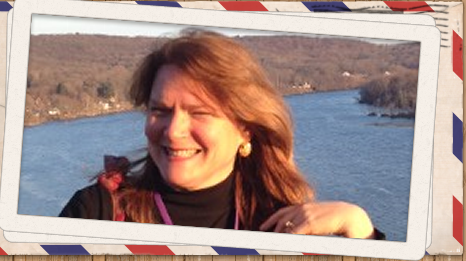 To make the most of your trip to Mystic (there is more to Mystic than pizza! ), make preparations to follow the Mystic Seafarer's Trail, a journey that sprang from my "7 Wonders of Mystic” article published by the Greater Mystic Chamber of Commerce. Shortly after stepping out of my new home with my hound for our first stroll through the historic seacoast village of Mystic, Connecticut, a woman pulled over in her van and yelled, "Excuse me." More to Mystic than just Pizza! When most people think of the tiny seacoast village of Mystic, Connecticut, they think of the movie, “Mystic Pizza,” starring Julia Roberts (and debuting Matt Damon). Yet when they visit this maritime community located half-way between New York and Boston, they find a lot more than pizza! Mystic, with its scenic views of tall ships, islands, lighthouses, and secluded coves, has attracted such legendary honeymooners as Humphrey Bogart and Lauren Bacall and continues to attract tourists from all over the world. It is a place where those who cross the oceans gather to swap stories and repair their boats. It is also where famous explorers are born, visit, get married, or sadly, embark from on their way to becoming lost at sea. Aside from the picturesque Mystic River lined with the Greek revival homes of noted sea captains and Mystic Seaport’s 19th century village, exhibits and ships, visitors can experience quaint shops, nationally reviewed restaurants, and the Mystic Aquarium & Institute for Exploration, where the discoverer of the grave of the R.M.S. Titanic, keeps his home office. Like the ancient Greek historians who compiled "The Seven Wonders of the World," I too, with the help of locals, compiled a list of seven, awe-inspiring “must-sees” in Mystic. Assuming she was a tourist wanting directions to Mystic Pizza or some other attraction, I wasn't prepared for what she really wanted to know: "Do you realize the back of your skirt is tucked into your underwear?" 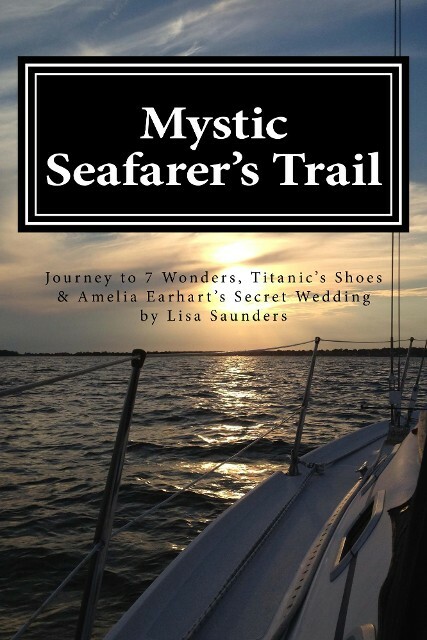 Continue reading more from Mystic Seafarer's Trail by clicking on the "LOOK INSIDE" feature. Get Mystic's latest news by subscribing to the Seafarer's Trail Newsletter (it only comes about twice a month).